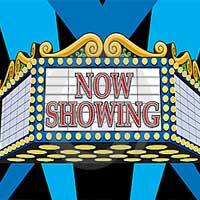 There are two movie screens and one live theater in the Town of Mammoth Lakes and one theater in nearby Bishop for a total of 3 screens. These are no frill theatres, but always carry first run movies. The schedules change frequently so do call ahead to find the show times and latest features. This is a great way to spend an afternoon if bad weather comes rolling in! In fact, you will find that the movie theaters are jam packed on bad weather days. The Bishop Theater generally plays the same movies as Mammoth. It's as if they run the film from one place to another! If you're going to venture to Bishop, allow at least 45 minutes driving time. The former Plaza Theatrer was converted for live stage performances. It is a grand place where community theater is performed. The performances are always top notch and everyone in the community gets involved. Shows range from classics from the Sierra Center Theater group, to guest artists, and artists in residence. Show Schedule is seasonal so please call for listings.